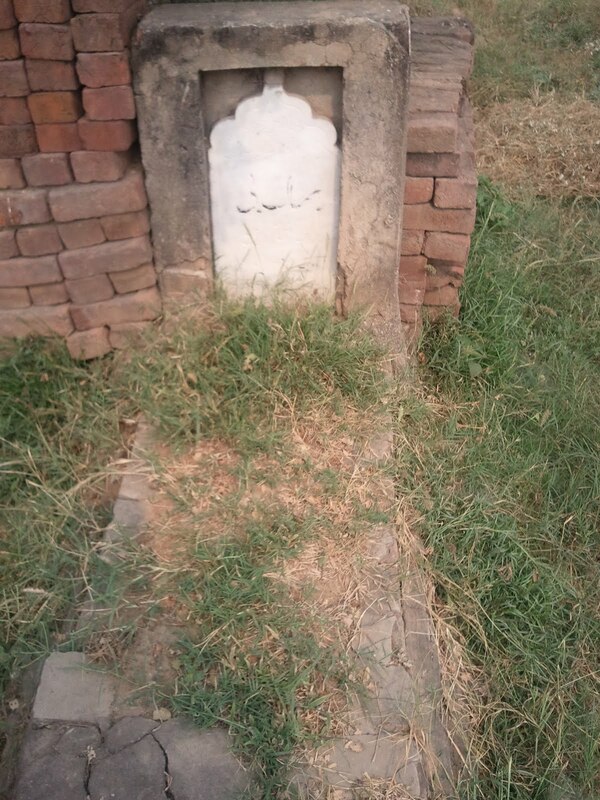 Here is another photograph of an ancestral tombstone, of who, I don't know, which was taken in October 2010. It was taken in our private family graveyard in Punjab. Again, the writing on the stone isn't clearly visible but I can make out the Urdu script to read her surname. I say 'her' because the surname is 'Bi' which was (is?) a common female surname for Pakistani women. Other information on the tombstone seems to have faded away. I'd like to find out whose grave this is and how they were related to me.